We are located in an old distillery, 167 rue Paradis. Is it a coincidence? No idea. During your 9 weeks of intensive full stack training, you will learn to code but not only. We like doing meetings around petanque, hike in creeks and organizing entrepreneurs talk or technical workshops. This is how to meet us beyond the web! Le Wagon Marseille is a digital community and a web development school for entrepreneurs. But not only! We also have a co-working space because we like meeting and exchanging experiences. Located near the main arteries of Marseille, Le Wagon is an area of 400m2 in the heart of the Phocaean city. We like to gather during the high points of the day. In addition to our full stack program, we regularly offer technical workshops, entrepreneur talks or our famous DemoDays. 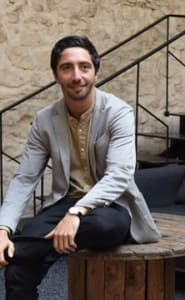 After Sciences Po, Mathieu spent five years in finance and risk management in Africa and is now CEO of Le Wagon in Marseille. After 7 years at Fifty-five as Conversion - Audience Analyst & Product Manager, Louis has specialized in big data and mobile tracking. He launched Le Wagon in Marseille in 2015 and co-created [Hi Bruno] in 2016. 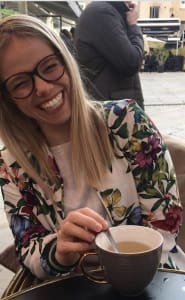 Back from an experience in London during her studies at Kedge, Chloé embarked on entrepreneurship and joined Le Wagon to develop her application, Motiv-Record.com. She then joined the team to manage commercial development. Killian joined the bootcamp in Marseille in September 2016. Since then, he has become an expert in sizing, prototyping and user interface. He is now in charge of the tech community. Graduated in International Finance Management at the IAE Aix-En-Provence in 2015, Laurent was managing sales in an innovative start-up, then created his own sport startup, before joining us as CFO. An engineer by training, Florent worked for eight years in construction and environment. Back in France, he decided to change his life and integrated batch #53. He is now a freelance developer and teaches at Le Wagon. Student of batch #66, one of Marseille's first batches, specialized in scrapping and database, Kevin is now a teacher. He is also the CTO of Search Vinyl Record, a platform to compare and buy vinyls.